Quote: You cannot add to your own reputation. I felt this is somehow unwanted. 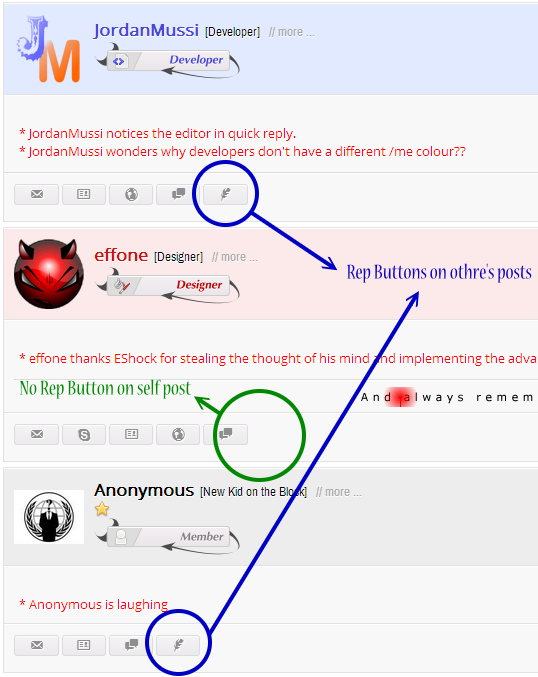 So, here I'm to show you how we can hide reputation button from own posts. We are going to hide the button using jQuery. So, at first include jQuery library to your board using the well-known method, if it is not already. Find the code of the Button image (works fine with css buttons too) and bind it in an ID. Save the template and you are done!!! Should be default in MyBB IMO. Good tutorial, definitely add professionalism to a forum.